There’s nothing as easy as a perfect-fitting shift dress that you can throw on & instantly feel pulled-together. I was so excited when I found this one because the print is so pretty that it almost doesn’t need any accessories, plus it’s very similar to much more expensive styles I’ve seen this season (but for less than $30!). I decided to feature three different ways to wear it for work, weekend & evening to show the amazing versatility of this piece. It’s no question that I will be getting alot of use out of it in the months to come – I’d love to hear which look is your favorite in the comments below! Check out how I wore my favorite Old Navy skinnies in last month’s feature here. um, hellloooooo….is this dress calling my name or what? i love them all but the work and weekend looks are my faves! This dress is so cute! My favorite look is the weekend look. So funny, I just posted a similar post about an hour ago. I did 4 outfits with one bright pink dress. Love this dress on you! I saw it in stores and tried it on, but I was so bummed it didn't fit. I've had a problem finding a good shift dress for my petite frame. I love all 3 looks but the denim jacket one is my fave. I'm partial to a dress and denim jacket combo though. XO! 2nd option is my favorite one! Great dress! There's a similar style at J. Crew for something obscene like $500! I think the work look is my fav but all are lovely! That first look with the pink shoes… You look divine! Love all three looks and the metamorphosis the dress goes through from business to casual to dressy.. I LOVE all four looks! Such a pretty pattern on the dress…I never would have thought a busy pattern could be so versatile! I love that BR bag! Such a great color! And that shift dress is so fun! Great pattern! Love the weekend look since I wouldn't be able to wear something like that to work. Dresses and a manufacturing environment don't mix too well. Way to make it so versatile! I love the weekend look! I automatically think sheaths are for work, so dressing it down was of interest to me. Super, super cute! Love how you styled the dress in every way! Perfection!xo. The reviews on ON said the arms were super tight. Did you have thst problem as well? Its a great print! That is a gorgeous dress! Ya gotta love Old Navy..
All 3 looks are gorgeous! I like this dress so much that I ordered it in blue and red right away! Shipping costs + tax to Germany are expensive but since the dresses are a bargain I was ready to spend that. Can't wait to receive the delivery. 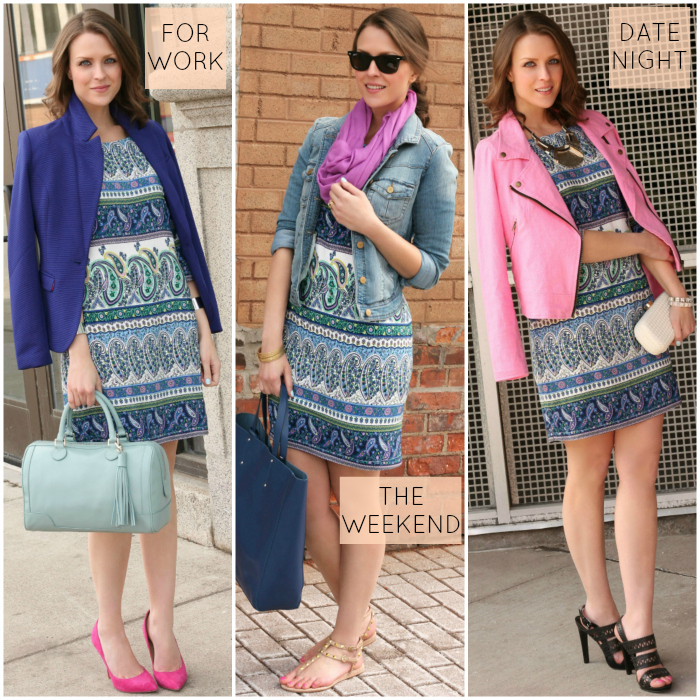 The weekend look is my favorite, but I love how each of the jackets pull out different colors from the dress. So versatile! Might have to pick it up myself! That dress is so pretty! The weekend look is definitely my favorite. Isn't it amazing what a jacket can do to change up a look? Love all three, but especially the weekend look. Will have to make a trip to Old Navy soon! These are 3 GREAT looks! I wouldn't have guess from Old Navy's website. Thanks for sharing! I love all 3 of these! I love the pink heels and blue blazer. Great combination! That blue blazer is to die for! This is adorable…LOVE how you took this dress throughout the week. I love it with the pink jacket! I love this dress and all the different way you styled it are gorgeous! Unfortunately I tried this one on in the store and it fit me horribly. So sad because it's gorgeous! I love that dress on you! And I couldn't believe how many adorable dresses Old Navy had recently. 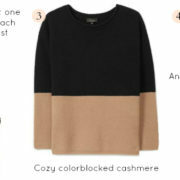 I managed to only buy two styles, but now I think I want to add this one to the bunch! These are really some amazing combinations, well done! I must say that I love the “weekend” look the most. 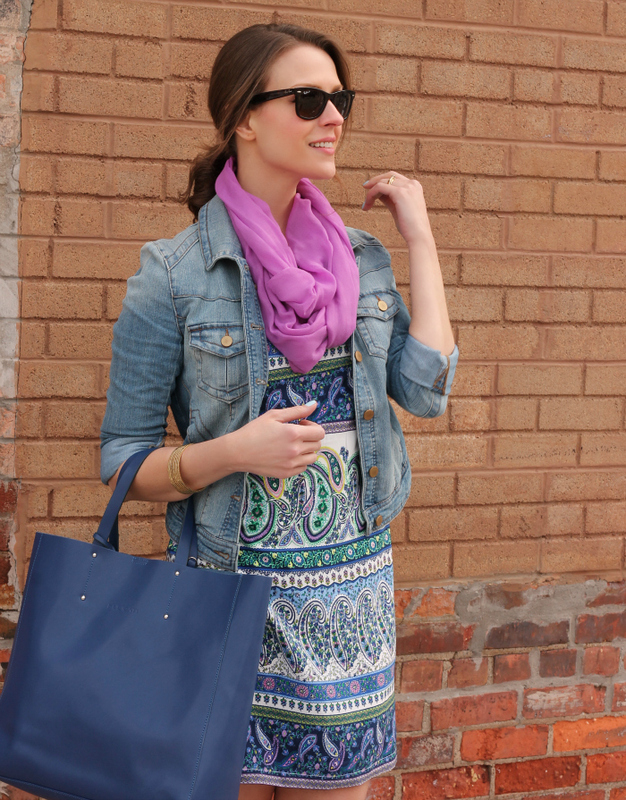 This look is perfect for a weekend full of errand running or better yet, shopping!!! SUCH a fan of this! I nearly purchased this dress last week in store (but they didn't have that discount that was online) because loving a great patterned dress with this sleeve length… it's comfortable, versatile and looks totally chic, ie just how you styled it! I love the date and work best, and so loving those date night heels (and yay for your gorgeous new early mother's day gift!). I can't pick! Don't make me! 🙂 Love them all. But I'm almost swayed by that mint satchel. My favorite would have to be the date night look. SO fun with the pink jacket! When I first saw this post and found out it was an ON dress, I was like, "WHAT?!" It looks so lux! The Weekend Look is by far my favorite! Love this dress! I love all 3 styles, but I think the work one is my favorite! You look fantastic! Very cute looks! The work one is definitely my favorite! Love this look!! Especially with the levi jacket and scarf. So fun showing different ways to wear something!! Glad to have found your blog. 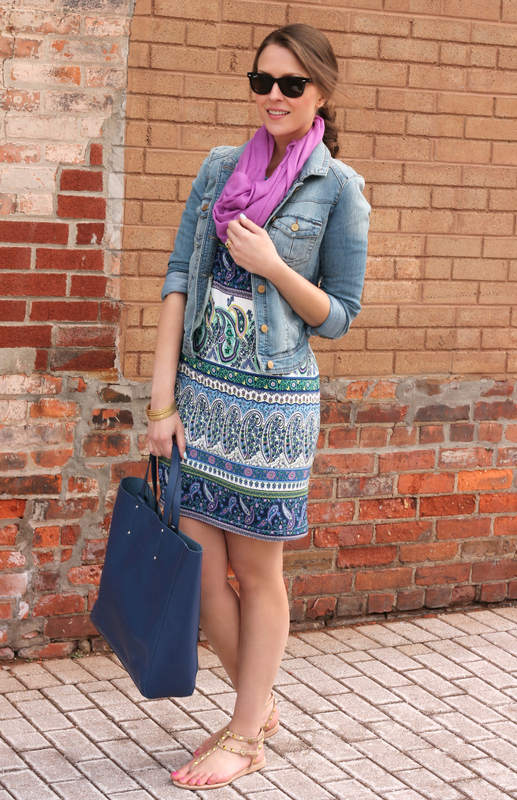 I love all three ways you styled this fab dress! The mint bag, denim jacket and pink blazer are great pieces. My latest post is a tropical shift dress. Love the way you styled yours. The pattern on this dress is fantastic! Just went to order this dress and it was sold out in my size and they don't seem to carry it in tall at Old Navy Canada… boo.. Oh well. This dress was made for you! Love the way you styled it. The dress is such a fun print, I can see why you chose it! Such a pretty print! I love the second look best, can't wait for temperatures warm enough to wear outfits like that all the time! I have totally had my eye on that dress and after your three for three perfect stylings, I may just have to get it. I'm loving the work and the date night options! These are great! I love this! So, so cute! that dress is gorgeous! Also, I would rock any of these three looks. Pure perfection. Can you come pack for my honeymoon? Im terrible with making pieces more versatile! I can not believe that dress is Old Navy! You make it look so luxe. love all three outfits. Love this post. I love how you styled the dress. I love pairing blue and pink too! Gorgeous combos, Kim. Spring ready and so pretty, love! WAIT…that dress is from Old Navy?! AMAZING!! 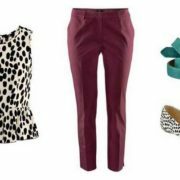 I love how you worked it too…a top layer and new shoes can totally change it up! I love each way you styled the dress! It's impossible to choose a fav!